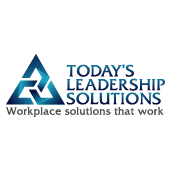 Our leadership blog contains a wealth of information, bonus content, and freebies to help you along every stage of your leadership journey. I figured out what I had to do to give my professional credibility a facelift, and I’ve never looked back. From those fumbling, awkward beginnings, I’ve led teams, departments, and company initiatives, and eventually started my own consulting business. I figured out what it takes to establish and maintain professional credibility, and I’m going to share it with you. Holding effective meetings is a challenge for professionals of every type, male and female. Today I’m going to share some of the things I learned to do that changed my meetings to something my team genuinely looked forward to, and that made a difference in not only my team’s but also my company’s performance. For quite a while, I bought into the fact that in order to be successful in business, a woman simply had to do the job as well, or better, than a man the same way a man does. I didn’t know any different because there were no female role models for me. Get updated on the latest freebies and bonus content hot off the presses!